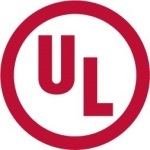 UL to Debut the New Toy Certification Mark and UL SmartInsights at Toy Fairs Across the Globe. and the information to easily expand to new regions. claims, advises and trains as well as provides software solutions. mission to promote safe working and living environments for all people. safety education. To learn more about us, visit UL.com/crs.